“Just jump in! 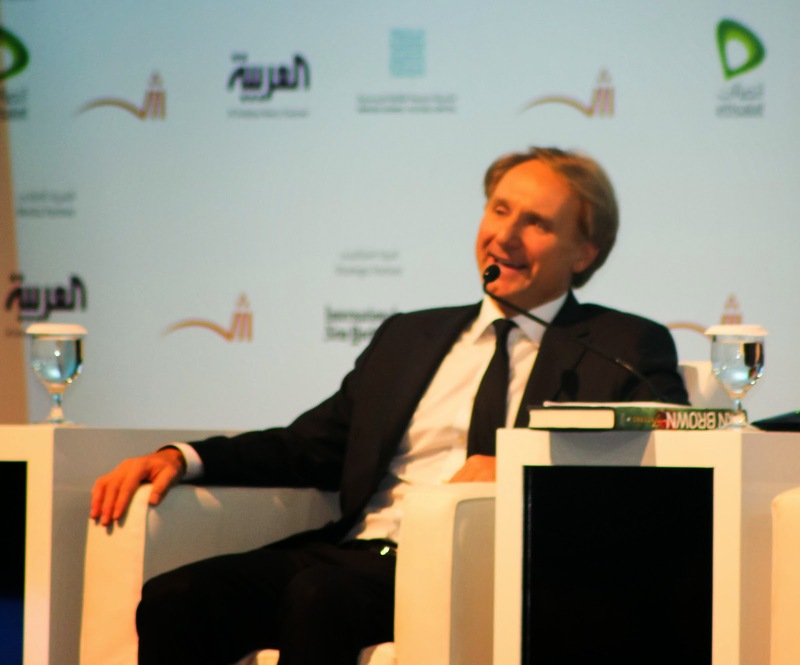 Get in quick!” She said, my friend who was eager to take the RTA bus to go see her literary idol Mr.Dan Brown. The minute I stepped into the bus I knew that this journey was not going to be easy atoll. Dubai to Sharjah has always been a constant struggle for people due to the heavy traffic and on that awesome day of 6th November, things where definitely out of our hands. It took us nearly two hours to reach The Ansar Mall in Sharjah by bus and the minute we stepped down the bus a 7km walk hit us right in the face. We had to cross a bridge to reach the other side of the mall and that was one heck of a trek through wet grass and a bit of running through roads filled with buses and speeding cars. As I ran across the road an odd but ironic thought of Dan Brown’s books occurred to me as though we were a part of his books that are pretty much a chase around a particular city in a time span of 24 hours. When we finally reached the other side of the road we were slapped with a 20 minute walk between two spooky construction sites and a brief visit to a tiny mall right opposite the Sharjah expo where the book fair was being held. Our sighs of relief turned into gasps of horror on seeing the huge crowd readily standing in queues to enter the book fair, a five minute wait felt like an hour long yoga session where we maintain one posture. When we thought we finally made it through an hour long wait awaited our arrival in front of the ballroom where the bestselling author from US was giving a speech. As we stood outside the ballroom sandwiched between people of all sizes we thought we could never get through but all the pushing and screaming finally helped us succeed we pushed our way through the gate and took in deep breaths and for the first time in forever breathing felt like a precious gift of god. On looking up at the stage I could see right before my eyes the one and only Dan Brown with his big and bright smile and all of a sudden all the pain we went through vanished and the feeling of joy overflowed from within and I was glad that our efforts did not go in vain. I could not help but smile to myself because truly this was a walk to remember.